You know how there are fabrics and colors and foods that make sense in certain seasons? I feel that way about liquors as well. For me, gin is a warm weather liquor. The first sign of spring means switching to a gin and tonic. But, fall… fall is all about bourbon. There is something soulfull about it – something warm. Of all the bottles of all the spirits, I find the bourbon bottles most interesting. My favorite is Blanton’s. Doesn’t it just look historical and storied? And so, as we kick off September, here’s a celebration of bourbon from around the internet. Cheers to you and to fall. From what I can tell, this is not a real brand of bourbon, but this student design project is fantastic. And, really? 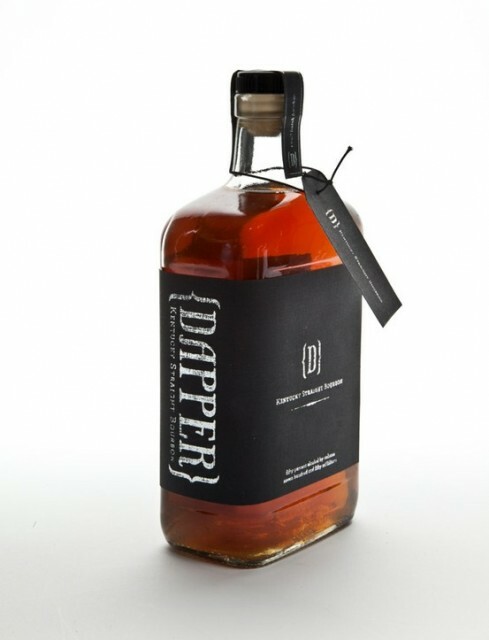 Shouldn’t there be a Dapper Bourbon? Yes. It’s still terribly hot here, sadly. 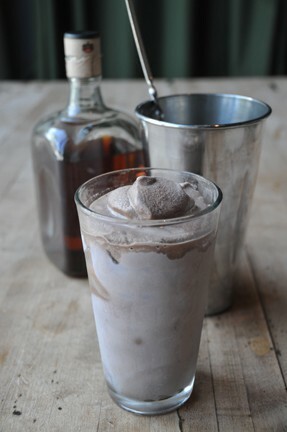 I think I will drown my Texas misery in this unbelievable bourbon milkshake from Imbibe. Care to join me? 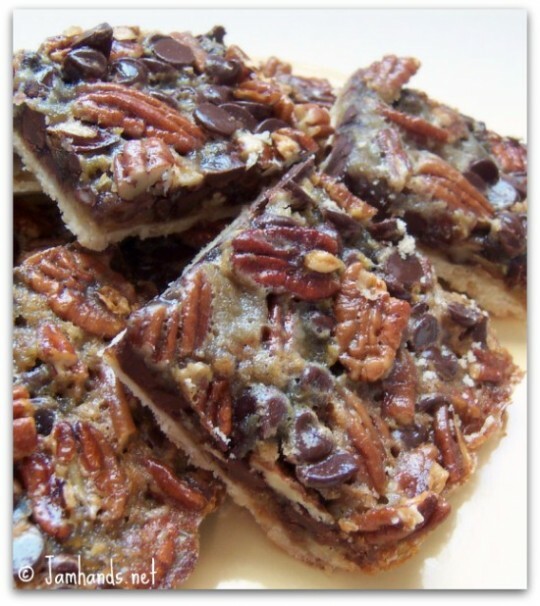 These chocolate pecan pie bars don’t technically have bourbon in them. Yet. 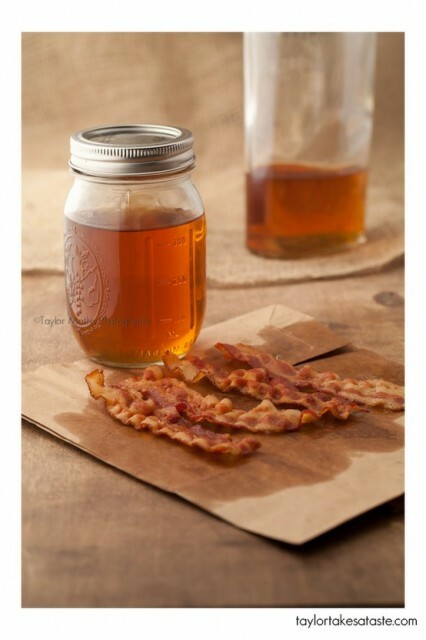 Two words, people: BOURBON BACON. That is all. Don Draper approves this message. I made this bars a few thanksgivings ago and they were yummy. I did those and the pumpkin squares made with Williams Sonoma pumpkin butter. Easy alternatives to pie. enjoyed browsing your blog and look forward to checking back soon. 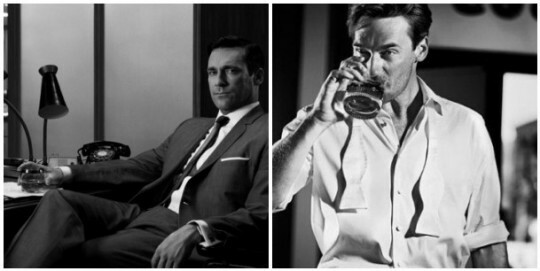 Plus – Don Draper (Jon Hamm) What’s not to love!!! Love me some good bourbon, too. I use it in the Bourbon-Pecan Pumpkin Pie for Thanksgiving dinner. The Baptists LOVE it!